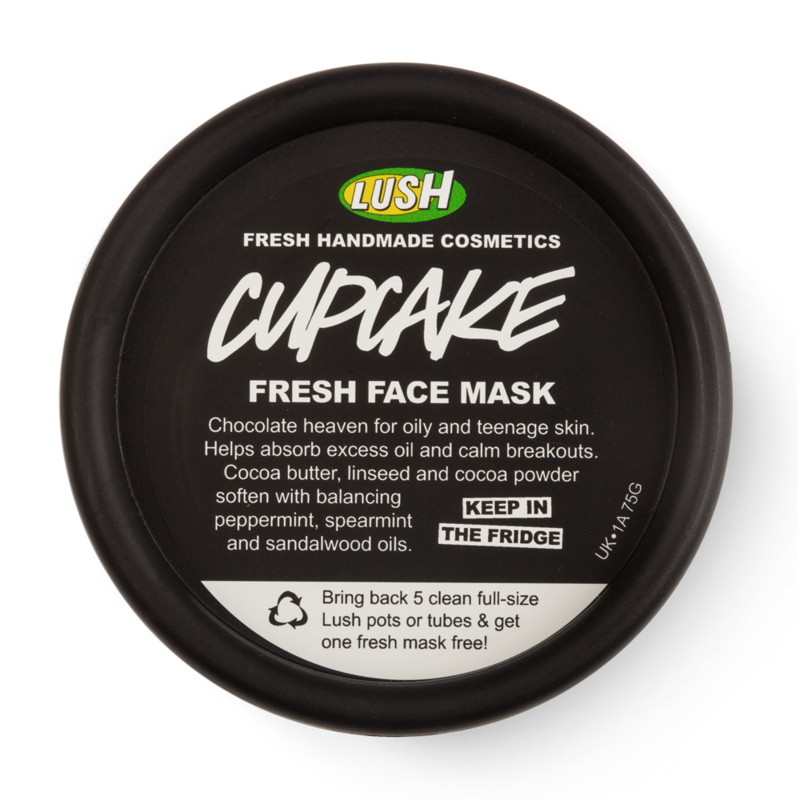 I have tried a fair few face masks in my time, but for my mild acne and oily/combination skin, LUSH's Cupcake (£6.50/75g) has to be my favourite. The best bit? It smells like chocolate! To find out if this is the face mask for you or not, read out my short but sweet review. I found my skin was less oily the days after using the product - for once I could skip powder on my T-zone! It smells like chocolate. 'Nuff said. Don't expect your acne to be gone overnight - it's gentle but kind to skin and still effective. As it needs to be refrigerated, you need to use it up pretty quickly before the expiry date. The advantages definitely outweigh the few inconveniences and I will definitely be repurchasing this mask for when I want to pamper myself, have a chocolate craving or if my skin has turned a little icky with breakouts and the usual teenage skin issues! It's perfect for refreshing you while cleansing the skin without drying it out and the amount of uses you get for the price (£6.50/75g) is pretty good, despite the not-so-long shelf life. Have you tried Cupcake? What's your favourite LUSH face mask? I'd love to try some more of the range!